Off for winter break and in the midst of a snowstorm, my boys and I decided it was time to hit the movies again. This time, we ventured out to the theatre to see the newest Disney release, Into The Woods. As a musical theatre fan, I have been eager to see this film every time I’ve seen the trailer. My boys (ages 11 and 8) were not nearly as enthused about the prospect. They are good sports and knowing that there would be candy, popcorn and nachos didn’t hurt either. Just as was expected, I loved this movie and my boys…well, two resounding thumbs down. Read on for all of the details and don’t worry, there are no spoilers in this review. 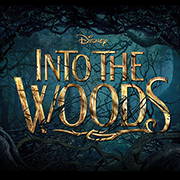 Into The Woods is based on the beloved musical by Stephen Sondheim. It follows the story of a baker and his wife who are unable to have children due to a curse upon their home. In desperation, they make an agreement with a witch to reverse the curse in exchange for collecting four items: Jack and The Beanstalk’s cow, Little Red Riding Hood’s cloak, Cinderella’s slipper and Rapunzel’s hair. These four classic Brothers Grimm fairy tales intertwine with the story of the baker and his wife to weave a complicated, emotional and breathtaking film. Without giving too much away, I would be cautious about taking young children to this movie. The versions of these fairy tales are much more Brothers Grimm than Disney, so many of the images could be terrifying to young children. All of the evils are present including a witch, wolf and giant. Several characters are in peril throughout the film and many die. Most of the violence occurs off screen, but most kids are aware enough to imagine what is going on. My eight year old wasn’t afraid of anything during the movie, but he is one of those kids that really doesn’t scare very easily. I would recommend this film for children at least 11 years old and based on my experience with my boys, you may find that girls enjoy it more. I’ve included the trailer below and for more details, reviews, ratings and for help determining if it might be right for your family, please check out this link. 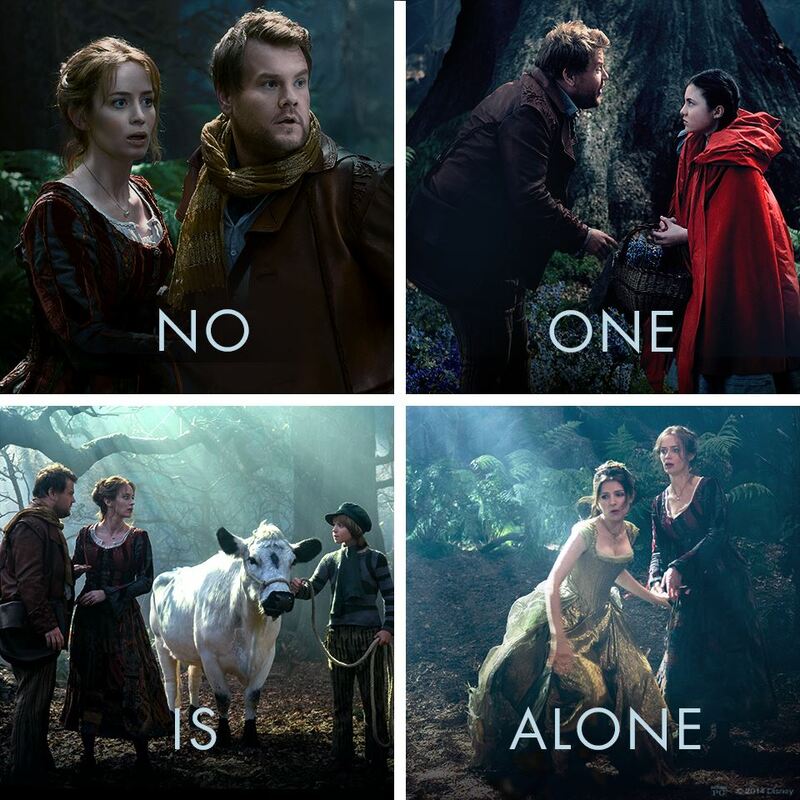 Have you seen Into The Woods? I really enjoyed it, but as a fan of musical theatre – not as a fan of Disney. When I see something hyped as a “Disney” movie, I expect it to be fun for the whole family, maybe with a dark moment or two that touches on struggles of everyday life and then ends with everyone ultimately living happily ever after. This movie is a far cry from that with dark and somber overtones throughout and could be a real reality crusher for young kids to see all of the faults of their beloved fairy tale heroes. I definitely stick by my 11+ age recommendation – and I’m not really certain who Disney is trying to market this movie to. Some of the more inappropriate content and music that is in the stage play has been removed in this adaptation to keep the PG rating instead of PG13, but I can’t imagine very many kids under 13 would really enjoy it.